The intent behind Fiqh Fid-Deen [i.e. 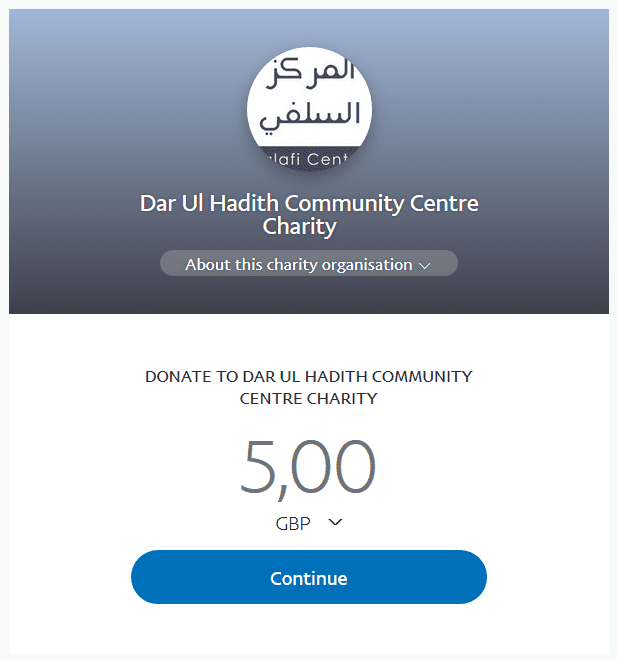 understanding in the religion] is understanding in all areas and aspects of the religion – its fundamentals, its subsidiary issues, its principles [that are utilised by the scholars to past judgements and establish rulings] and the affairs related to creed. 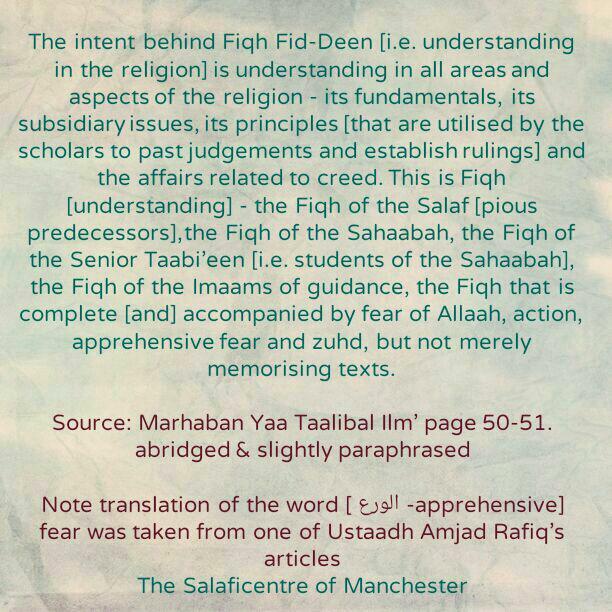 This is Fiqh [understanding] – the Fiqh of the Salaf [pious predecessors], the Fiqh of the Sahaabah, the Fiqh of the Senior Taabi’een [i.e. students of the Sahaabah], the Fiqh of the Imaams of guidance, the Fiqh that is complete [and] accompanied by fear of Allaah, action, apprehensive fear and zuhd, but not merely memorising texts.